Even the most casual reader of this blog knows of my obsession with the State Fair of Texas. From it's vast fried food options to the countless blue-ribbon contests they hold to the Midway rides, you just cannot beat the Fair for a day of fun (and people-watching). The countdown to fun has officially begun – only 200 days until the State Fair of Texas® begins its annual 24-day run. With agriculture, education and community involvement at the heart of every decision, the State Fair passionately pursues opportunities to expand and build upon its mission. This year the State Fair of Texas celebrates 130 years of history with the city of Dallas and the great Lone Star State. Originally established as a livestock exposition back in 1886, it is without question that the Fair has deep roots in agriculture. 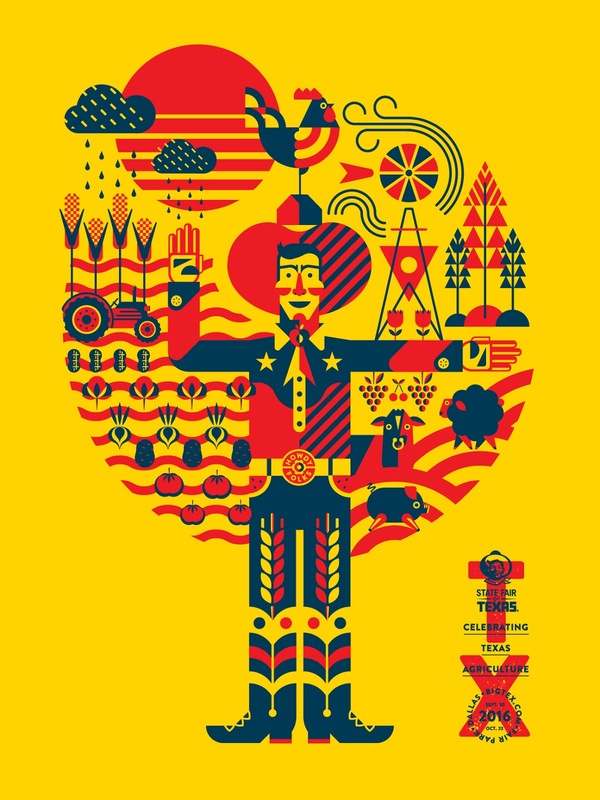 In honor of its history, the Fair constantly strives to promote agricultural education and aims to further support this initiative through its 2016 event, themed “Celebrating Texas Agriculture.” This year’s exposition will run Friday, September 30 through Sunday, October 23 at historic Fair Park in Dallas. A combination of entertainment, art, agriculture, history and cuisine, the Fair provides guests with a unique way to experience every aspect of Texas culture, all in one place. “Every year we host millions of visitors, with the ultimate goal of bringing people together for a quality event that is unique to our great state,” says Mitchell Glieber, State Fair of Texas president. Acknowledging the significance of farming and ranching in Texas’ past, present and future, the Fair continues to promote agricultural growth through its large number of learning initiatives. From its interactive exhibits explaining how Texas agriculture touches our everyday lives and how food gets from farm to table, to the variety of competitive livestock events and leadership contests for youth throughout the state, the Fair encourages all visitors to learn more about agriculture. The 2016 theme serves to recognize agriculture and its relevance to both the Fair and the state of Texas as a whole. “Celebrating Texas Agriculture” focuses on educating guests about all the ways agriculture impacts the community, as well as our day-to-day routines. Mark your calendars for the 2016 State Fair of Texas and learn more about the importance of being an advocate for agriculture. The Fair invites you to join the fun and celebrate Texas agriculture by attending this year’s event, opening Friday, September 30 for another round of Texas-sized fun. For more information, visit www.BigTex.com.